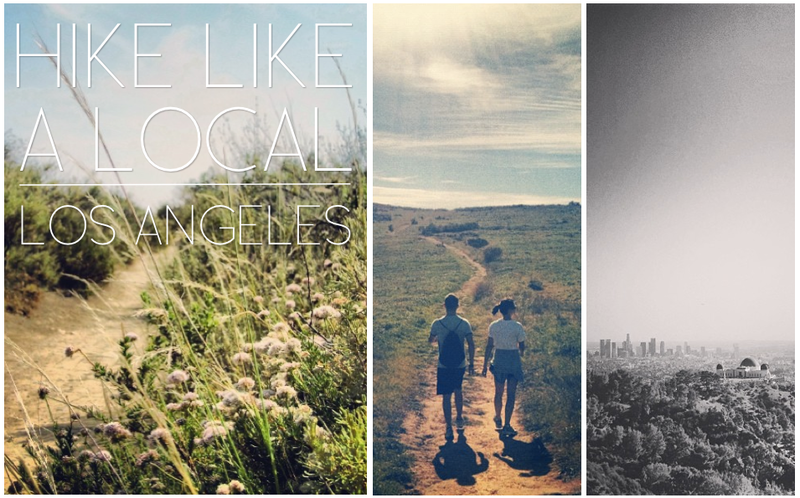 If you’re visiting Los Angeles and want to do as the locals do, check out these four hikes favored by active Angelenos. If hiking isn’t your thing, try driving the 10 freeway East at 6:30pm (just kidding, don’t do that). 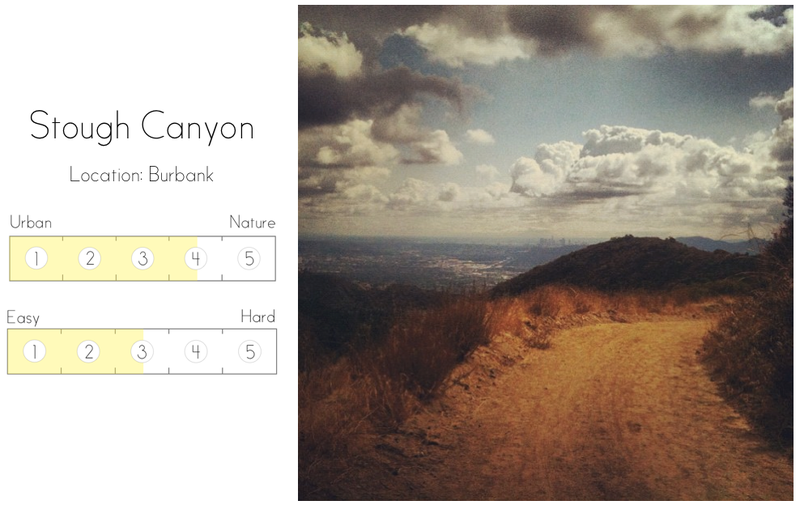 If you live in LA, just consult this list the next time you’re thinking about hiking Runyon again. Rating these hikes: I rated these hikes on the amount of nature experienced (urban → nature) and their activity level (easy → hard). These hikes are rated only against each other. So a 5 on the amount of nature experienced scale does not equate to the Amazon rainforest, and a 5 on the activity level scale does not equate to trekking Mt. Everest. Why go: No crowds, panoramic view of the San Fernando Valley (and all the way to the ocean on clear days), a variety a different trails to explore. Just a 20 minute drive from Hollywood you’ll find Stough Canyon, a seemingly never ending set of trails in the Verdugo Mountains. Virtually unknown to the majority of LA’s hiking masses, you won’t pass many people on your journey up and down the mountain, even on weekends. Tip: There are 2 locations along one of the trails which each have a permanently installed wooden lounge chair. They’re relatively far up the trail (the furthest chair is the best), but both make for comfortable places to relax and take in the view. Why go: Escape from the city, non-strenuous, incredible ocean views, great date hike. 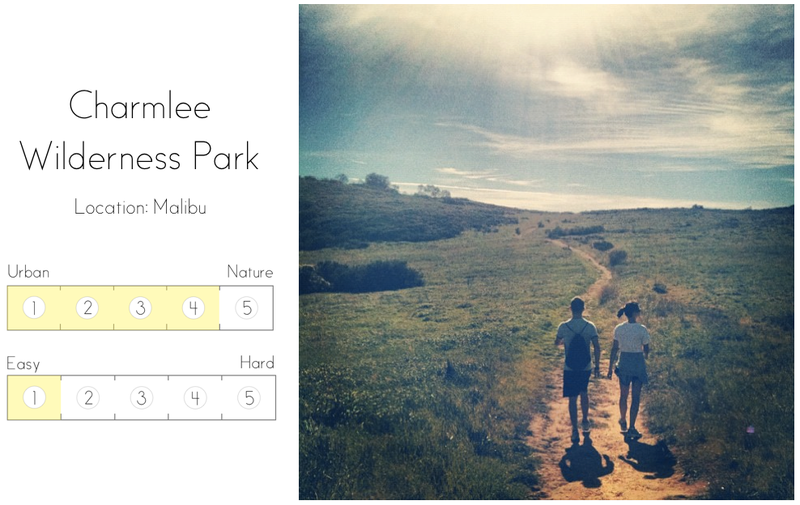 More of a walk than a hike, Charmlee Wilderness Park is comprised of a series of paths winding through incredible rolling fields high above the Pacific Ocean. Located about an hour from LA (depending on traffic), Charmlee is the place to be if you’re looking to escape the city and breathe some clean ocean air. Be warned, the weather along the coast in Malibu doesn’t always reflect the weather report’s current conditions. Tip: The drive through the Santa Monica Mountains to Charmlee is reason enough to make the trip. It’s also located near Malibu Wines, so throw on a fresh pair of shorts and stop by this casual outdoor tasting room for a drink when you’re done with the hike. Why go: Trails Cafe, Griffith Observatory, 360 degree views of Los Angeles. 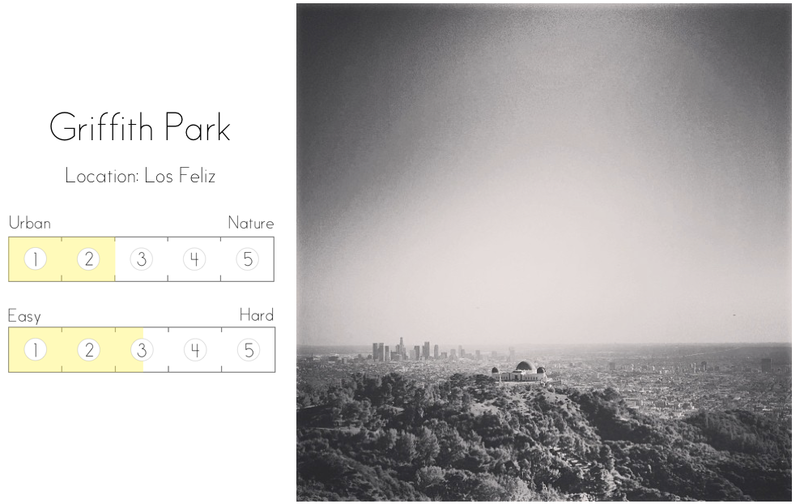 Just 15 minutes from the skyscrapers of Downtown and less than 10 minutes from the hustle of Hollywood you’ll find Griffith Park. Beginning at the Fern Dell Drive entrance, take the winding, wide, and well-groomed trail up until you reach the top. Along the way you’ll get incredible views of the Griffith Observatory, the Hollywood sign, and the entire city of Los Angeles. On the way down, make sure to stop by the Griffith Observatory for a closer look. Tip: Start your hike like a local by visiting The Trails, a rustic outdoor cafe with killer scones (describing scones as “killer” makes talking about scones more manly, right?). If scones aren’t your thing, try The Trails’ selection of other baked goods, sandwiches, coffee drinks, and tea. Why go: Great views of the coastline from the top, mostly shaded trails, a good workout. Just 10 minutes from Downtown Santa Monica you’ll find Temescal Gateway Park, home to the Temescal Canyon Loop. Hiking the loop will take you through the scenic canyon, past a waterfall (don’t get too excited, there’s often no water), then up the mountain. At the top you’ll find an incredible view of the coastline and city. 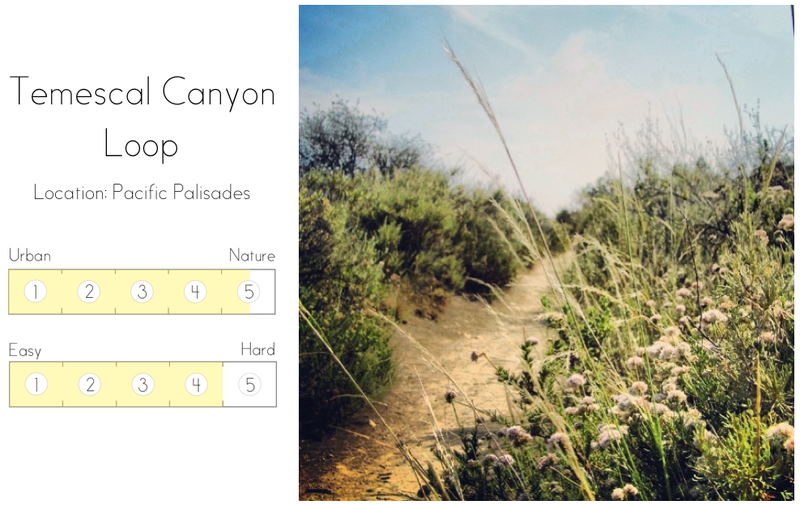 Tip: Do the loop counter-clockwise (take the Temescal Canyon Trail to Temescal Ridge Trail to Viewpoint Trail) for a longer and more gradual asent. Zoom in on the map below to see the trails. Zoom in to explore these hikes and get more information. Switch to satellite mode (Sat - top right corner of map) to get a closer look at the terrain.